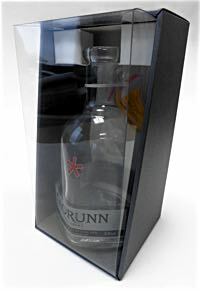 Transparent packaging has been very successful in the cosmetics, toiletry, confectionery and food industry, but it has had mixed reviews within the drinks sector. Why is this? Possible explanations suggest it is not premium enough, or it has no heritage, after all it is relatively new. However, it has rece ntly been used to good effect on several well-known spirits brands, including Famous Grouse, Ardbeg and Bombay Sapphire. We asked Ian Jamie, managing director of Stager Packaging, the supplier of these packs, to explain some of the merits of clear plastic for brands. “For starters,” he says, “our plastic is totally recyclable and is made from recyclate - ground down water bottle flake. “Clear packaging is not without merit, as one designer in London pointed out - people like the attributes of plastic, if not the look. This one comment has led me to combine our plastic with both cardboard and rigid box board to varying degrees in, I think, a pleasing way combining the attributes of transparency with that of heritage/quality appearance. understandable for heritage reasons and for giving the impression of quality. Plastic alone would not tick many boxes in this market. Is it too new, not premium enough? “But who is going to be buying blended whisky in 30 years' time? I wonder whether the next generation of drinkers will be more attracted to blends if they have more modern, glitzy packaging? Would this introduce new drinkers? Is the current packaging a bit staid? “Other spirits such as vodka and gin, seem a better bet for us, it appeals to a younger market that likes glitz and glamour. 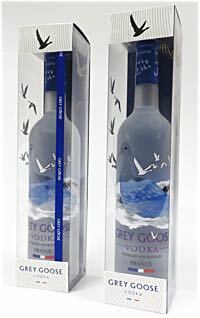 These producers spend a lot of money decorating their bottles and it would be a shame to hide these exciting looking bottles inside a cardboard gift box.